Honesty throughout the permanency process can be difficult because the truth is often painful, and a child or youth may respond with anger, tears, or withdrawal. But honesty helps children and youth understand each step of what they are going through. Listening to their expression of their needs is the primary goal of your conversations. This guide (PDF) is designed for people who are involved in key transition points for a child in out-of-home care: ongoing workers, foster parents, relative caregivers, adoption workers, CASA volunteers, therapists, tribal workers. We hope you use this as a tool to talk with children and youth beginning with the transition to out-of-home care and continuing until a child reaches permanency. 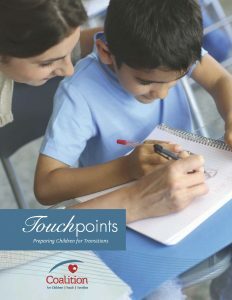 Each chapter identifies a key discussion time, and includes an activity, tools, and resource materials to help open the conversation and encourage the child or youth to express the questions they might be afraid to ask.